Ready for the late hunt. Hi Flatlander I was wondering what draw odds you were using? I've looked but only could find the odds from 2012. Anyway if you wouldn't mind one more request, I'm looking at hunt numbers 3143, 3144 and 3009 with 2 bonus points. Thank you! how long for your first coues? 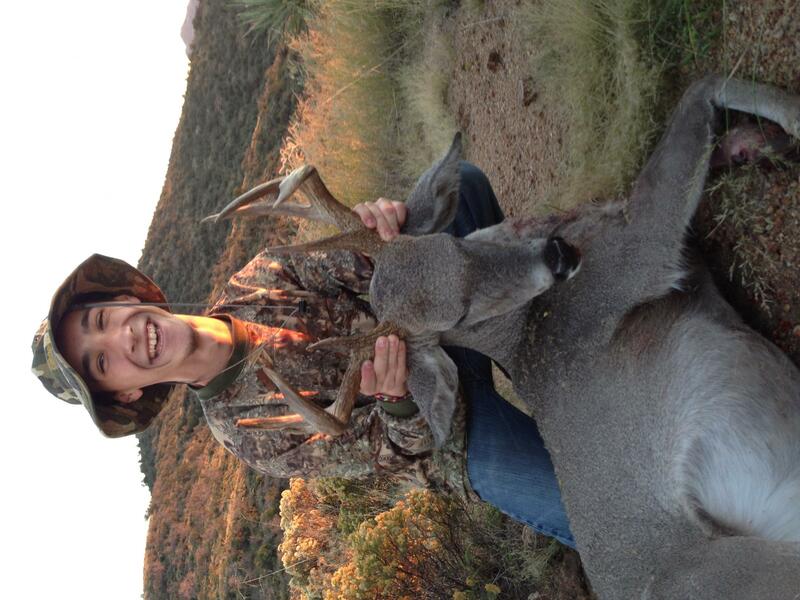 I got my first coues with a bow when I was 16 so about a year it took me. My father took his first coues with a bow three days after I got mine, so it took him about 30 years for him to get one with his bow! My father has been constantly asking if I'd post a picture of this buck to see what yall think about him. If yall remember, I posted about this same buck back during the January archery season. I was about ten feet from this buck but he was bedded in front of a large boulder and I was behind him, unfortunately I got impatient and busted him. Here is he again though, with close ups and a few buddies with him. Hi yall, we've gotten this bear a few different times on camera now and were wondering what yall think of the size? We have two non typicals running together on camera! And a few other decent looking bucks! This is a buck we've seen for the last few years.. what do yall think? Growth seems pretty good! This is a different buck but seems to look pretty good! My first attempt at darkening sheds. Deer must love them apples huh? ha ha! That buck is a PIG. Wow. I thought we had some decent bucks but that buck just blew ours out the water! lol! Go out and try to find his sheds, don't take your eye off him! Looks good! Make sure to keep an eye on him, find his sheds in May! Archery Turkey Hunting - got any tips? shylopolito replied to CouesWhitetail's topic in Turkeys! My best advice would be use an expandable broadhead and try not to focus on just hitting the head. I've taken a Rio Grande with my bow using a Rage 3 blade and the turkey didn't move an inch. Once again we did our weekly trail cam check, coming up with a few hundred pictures and some decent bucks. We've gotten numerous pictures of this buck dating back to last summer. We're almost positive he got injured but nevertheless this buck is WIDE. & a couple decent bucks!